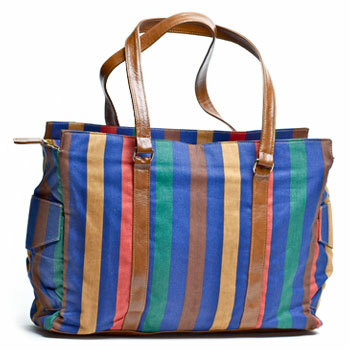 U hOO Multi-Stripe Weekender | Designer Leather Handbags, Belts, Accessories | Made in USA | U hOO Birds | Be Beautiful. Be a Bird. 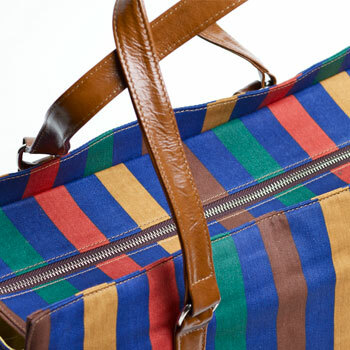 If you want a great handbag that travels well and you need something that can pack everything but your kitchen sink, The U hOO Weekender should be your choice. 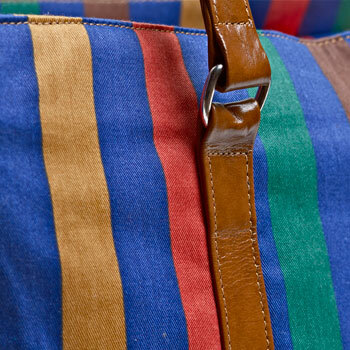 School books, groceries or your weekend getaway essentials all fit into this perfect tote.